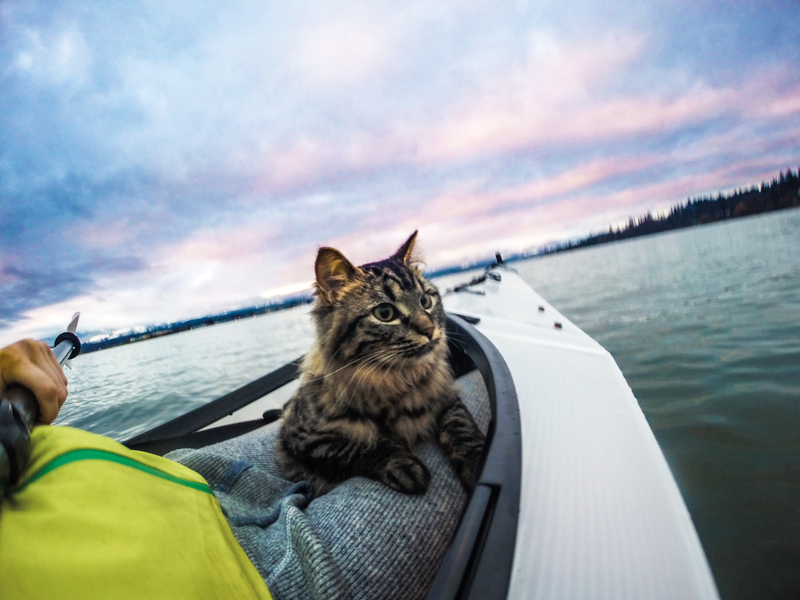 Adventure Cat Bolt often kayaks with his owner Kayleen VanderRee in their home of Victoria, British Columbia. 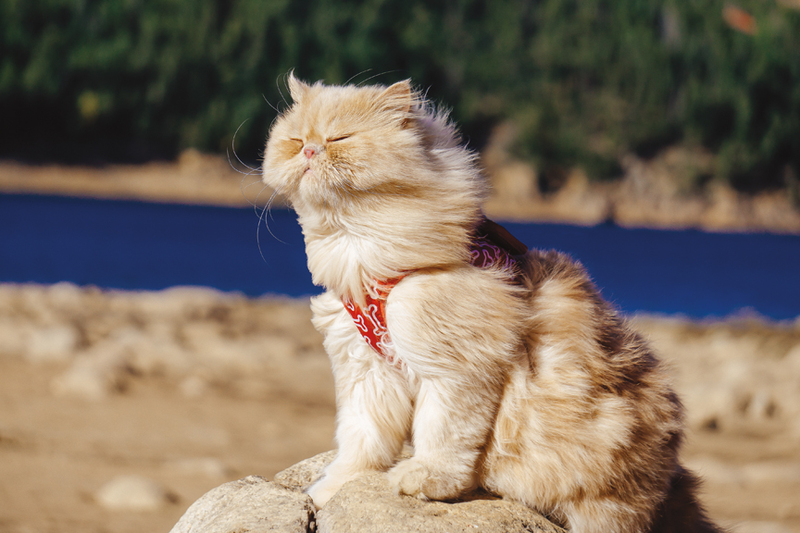 Spend just 30 seconds scrolling through the Adventure Cats Instagram feed, which has more than 100,000 followers, and you’ll spy snapshots of fluffy felines outfitted with harnesses and leashes, standing proudly on mountaintops and in grassy fields. Cats perched on the bows of boats. Fuzzy faces peering out from hikers’ backpacks. Kitties adorned in tiny raincoats that look like they came straight from an REI. Even a feline on a surfboard. It’s all a little surreal—this isn’t what cats do. Except, according to Atlanta writer Laura J. Moss, this is what cats do. Or can do, if they’re so inclined. A journalist on the pet-related story beat, Moss had interviewed cat owners like Stephen Simmons, a veteran whose cat Burma hikes mountains and swims in lakes, and Craig Armstrong, a Utah man whose cat Millie is an avid rock climber. She became fascinated by these outdoorsy felines, but after trying to learn more about how cats could be trained to go from couch cushions to mountain summit, she couldn’t find a good one-stop resource. Her husband reminded her, “You could make that.” So she did, launching adventurecats.org in 2015. Before the website was even finished, Moss launched the Instagram account that propelled the brand and cemented Adventure Cats as a feline authority. Wired took notice, then other media outlets. Followers of and submissions to the account grew and grew. “There were so many people already hiking and walking with their cats—I didn’t realize how many. [With the Instagram account,] we became the focal point for that [already sizeable] community,” Moss says. 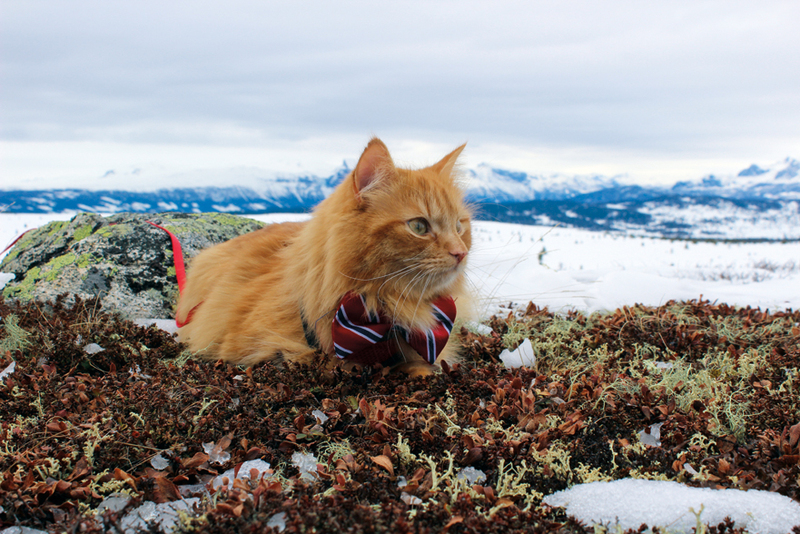 Jesper, a three-year-old long-haired cat, lives in Norway with owner Aina Stormo and often skis with her. Today the website is wealth of information for outdoorsy cat lovers, complete with advice on traveling with your cat, buying the proper gear, and keeping your pet safe, as well as “Cat Tales” of adventuring kitties across the globe. Last week, the official Adventure Cats book hit shelves, acting as the ultimate how-to guide for taking your fuzzy friend on epic journeys, along with stories of several of the Instagram-favorite felines. Millie the rock-climber is there, along with Jesper (who joins his Norwegian owner on ski trips), Nanakuli (the one-eyed Hawaiian cat who surfs), and Vladimir (whose owners are traveling with him to all 50 states). 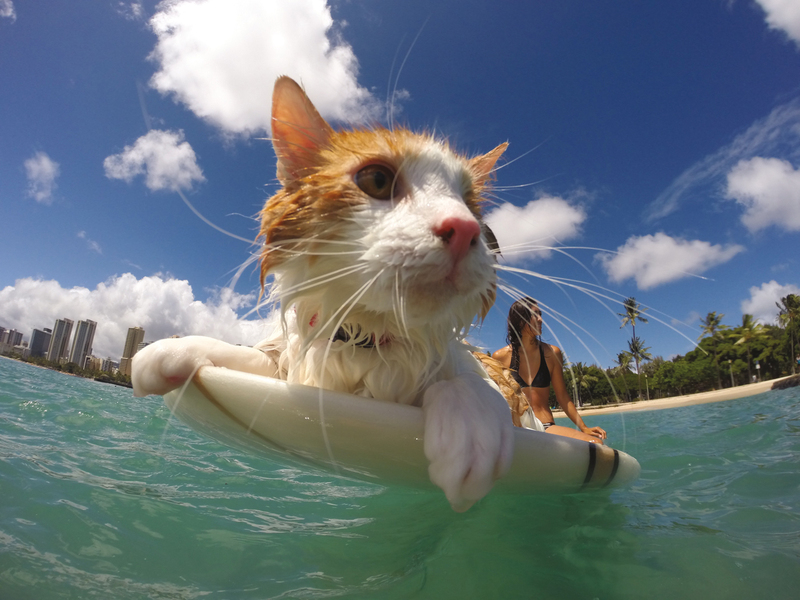 Hawaiian cat Nanakuli loves to surf with owners Krista Littleton and Alex Gomez. One of Moss’s favorite stories is that of Colorado residents Graham and Erin Shuee and their black-and-white cat, Quandary. When Graham decided to propose to Erin, he adopted the five-month-old kitten from a shelter and hatched a plan with a group of his friends. He took Erin for a hike on the Quandary Peak trail in the Rocky Mountains, and ahead of them his friends placed the kitten and an engagement ring in a basket. When Erin approached the basket, Graham proposed with cat and ring in hand. And realizing that the kitten was the perfect age to begin outdoor adventure training, they began taking “Q” out for hiking and camping trips. The negative “crazy cat lady” stereotype was something Moss hoped to combat with her website Adventure Cats. “I saw it as an opportunity to change how people think about cats and the people who love them,” she says. She notes that a 2015 PetSmart Charities survey found that 49 percent of Americans believe that the stereotype of a “crazy cat lady” is an accurate one. Moss says that in the same way people don’t often think of cats as outdoorsy creatures, they also don’t think of a “cat lady” as a woman who hikes mountains with her cats. She hopes Adventure Cats can “rebrand” stereotypes like the “crazy cat lady,” or for men, the idea that owning a cat is somehow emasculating. Floyd the Lion hikes mainly around his Colorado neighborhood with owner Susie Floros, but he’s also ventured through the mountain terrain of Moab, Utah. Moss lives in Ormewood Park and owns a dog and two cats, one of whom, Sirius Black, has a unique Atlanta connection: He was rescued by actor Ian Somerhalder on the set of The Vampire Diaries. (A friend of a friend knew Somerhalder’s assistant, which is how the kitten came home to Moss.) 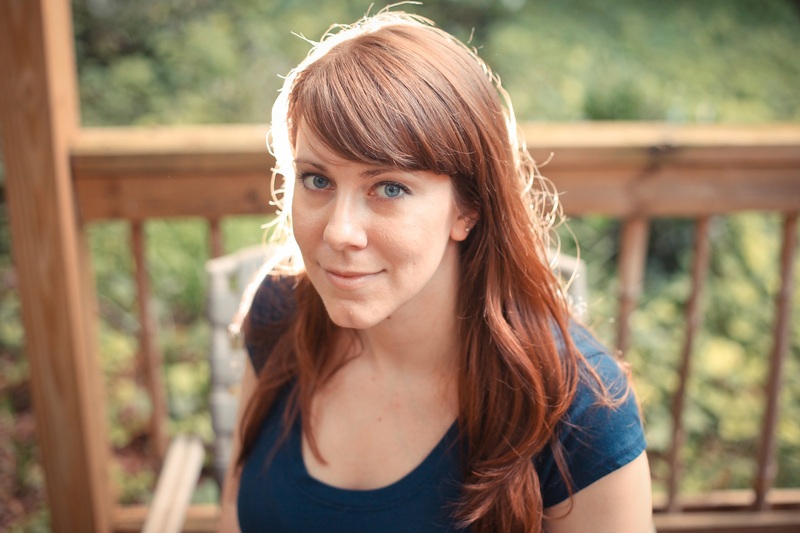 She volunteers locally with Furkids shelter and, in addition to appearing at New York’s BookCon and L.A.’s CatCon this summer, she’ll also be a speaker at this year’s Decatur Book Festival. If you do want to try adventuring, Moss recommends taking your cat to the vet first and making sure the animal in good health and that it’s safe for it to spend time outside. They’ll need to be microchipped, up-to-date on vaccinations, and taking flea, tick, and heartworm preventative medication. Start leash and harness training indoors before stepping foot outside.